What do Cyber Command’s acquisition requests reveal? U.S. Cyber Command is looking to beef up its main acquisition and capabilities development arm with contractor support. In a Jan. 25 request for information released on the FedBizOpps website, Cyber Command’s J9, or advanced concepts and technology directorate, is seeking feedback on a statement of work to provide front office support. The feedback will help craft the eventual requirements. Previously, the J9 was known as the Capabilities Development Group. The CDG had a three-pronged mission: planning and synchronizing capability development for the joint cyber force; developing capabilities in order to reduce risk or meet urgent operational needs; and maintaining the command’s technical baseline. It was established in 2016 to coordinate, integrate and prioritize cyber tool development and delivery efforts across the services given the joint nature of cyberspace and the need to enable greater synergy across the joint cyber mission force. CDG was recently redesignated as the J9. This was done to clarify its goals and mission and to better align with Joint Staff and other unified combatant commands — all of which have J9s — a Cyber Command spokesman told Fifth Domain. Cyber Command, stood up in 2009, itself was elevated to a full unified combatant command in May 2018. As the command is looking to scale up its operations and its capabilities, it is going to need a more robust staff. Experts have noted that the CDG, now J9, has been very stressed over the past few years with a limited staff and burdened by developing tools for current operational needs — namely the fight against ISIS, called Joint Task Force-Ares. Cyber Command’s top acquisition official, Stephen Schanberger, said as recently as September 2018 that the command is in its infancy from an acquisition perspective, adding that the command at the time had one contracting officer, one specialist and a couple of contractors aside from himself in the contracting shop. He did say he expected those numbers to double in the next three months at the time. The command hopes to change this in the near future. Congress granted Cyber Command limited acquisition authority in 2016 following the model of Special Operations Command. It capped acquisition funds at $75 million, sunsetting in 2021. The thinking at the time, according to congressional staff, was to take a crawl, walk, run approach and see if the command could demonstrate it could properly exercises its limited authority. With the new acquisition authorities Congress granted to U.S. Cyber Command, the nascent organization is emulating the buying model of U.S. Special Operations Command. Schanberger said they want the command to show Congress it can use the authority in the way it’s supposed to and start to stand up the backbone of a contracting organization. This includes being able to put together solicitation packages, plan contracting strategy for years ahead and be able to effectively implement and put out proposals and award them without making a mess. Schanberger added in September that the command wants a ceiling of $250 million and a sunset of 2025. In the recent request for information, Cyber Command is seeking a full range of program support, policy support and advisory and assistance services to support the needs of the J9 executive front office, which will assist in long-range planning, development of strategic communications, review of policies and procedures, recommending documentation and policy updates, consulting and reporting. J9 strategy and policy — Contractors should help with interagency coordination, drafting policy, doctrine and concepts, provide long term planning strategy to support the growth and evolution of the command to include manpower, workforce structure, fiscal and acquisition expertise. 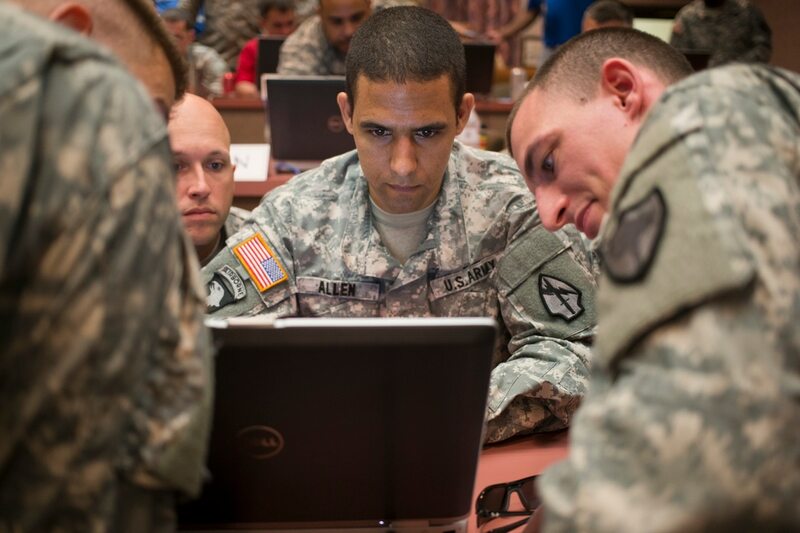 Strategic coordination support — Contractors should work to communicate key command messages, supporting development topics to build awareness of overall cyber goals and objectives and managing logistics for events.